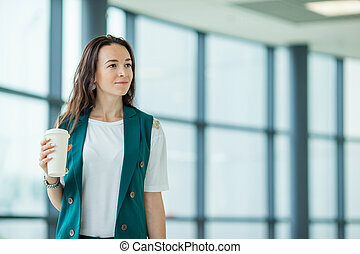 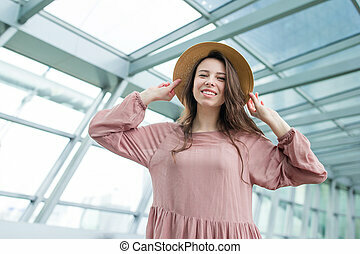 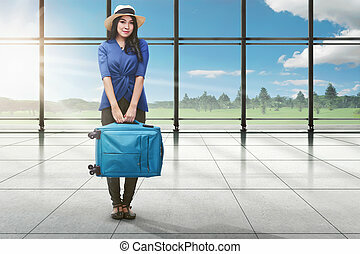 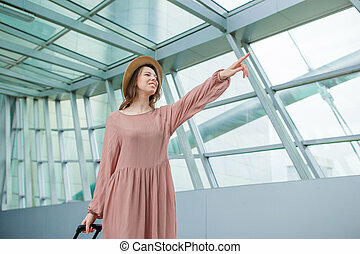 Beautiful young woman standing in hall of airport with luggage and waiting airplane, focus on suitcase. 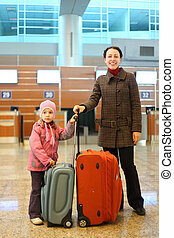 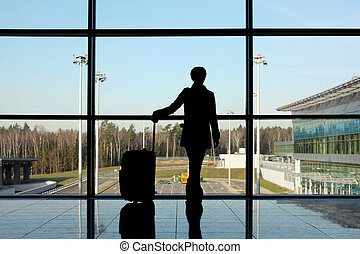 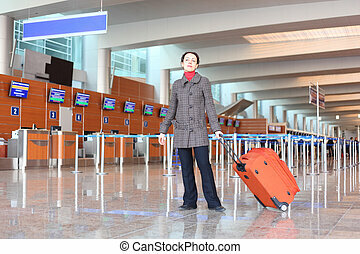 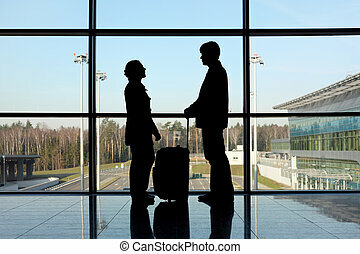 Woman with suitcase tired of waiting on airplane departure. 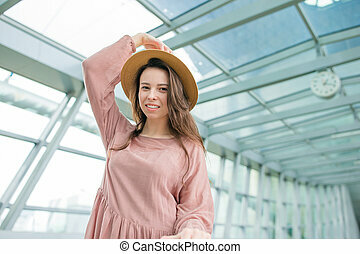 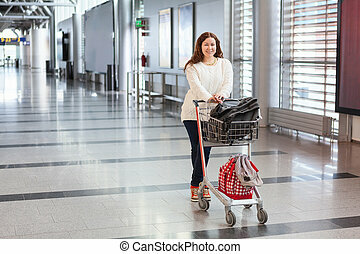 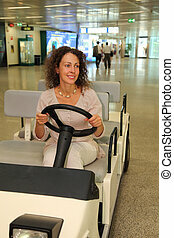 Young Caucasian woman pulling luggage hand-cart with bags along airport hall. 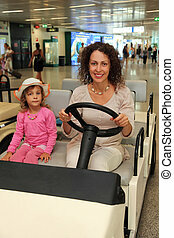 Passenger in waiting area. 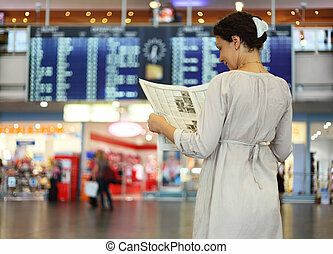 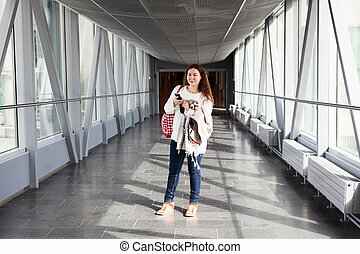 Young woman in airport waiting for air travel using tablet. 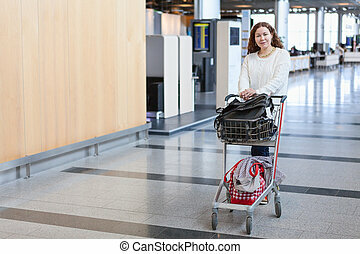 She is sitting with travel suitcase trolley, in waiting hall of departure lounge in airport.Travel Concept . 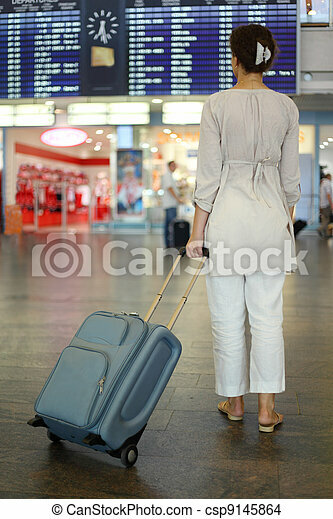 Young woman in international airport walking with her luggage.